Ceviche is simply a beautiful word for raw fish that’s been ‘cured’ in citrus juices and flavored with any number of ingredients. I must admit, before my fishing lifestyle that started soon after I met my (now) husband, it was a dish I wouldn’t consider ordering or making. 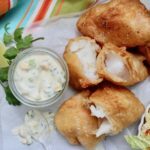 It’s an acquired texture, but one that can easily be developed if you have access to amazing fresh fish OR you live near a restaurant or market that prepares it extremely well. 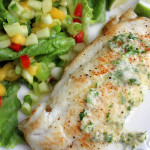 Since the fish is the star of this recipe, it must be as fresh as it can be for the best flavor, and to avoid contamination. 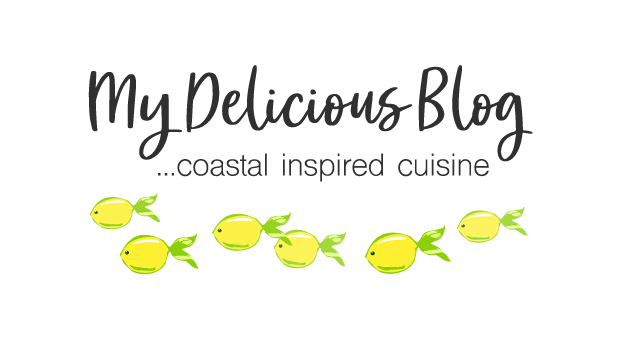 The length of time you allow it to marinate in the citrus juices is up to you. The traditional, Latin American style allows the fish to marinate for a few hours or more (my and my hubby’s preference), but you can marinate it for as little as a few minutes, since the fish starts to ‘cure’ as soon as it hits the citrus juice. The longer it sits in the acid, the whiter the exterior becomes. In our house, I’ve tried to serve ceviche after as little as 20 minutes, but it always gets sent back to the refrigerator ‘cause my hubby likes it to sit longer. You’ll decide what’s best for you! 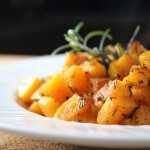 I’ve tried several variations, but always seem to come back to this recipe which has a flavorful citrus base, along with some heat from the jalapeño and ginger. 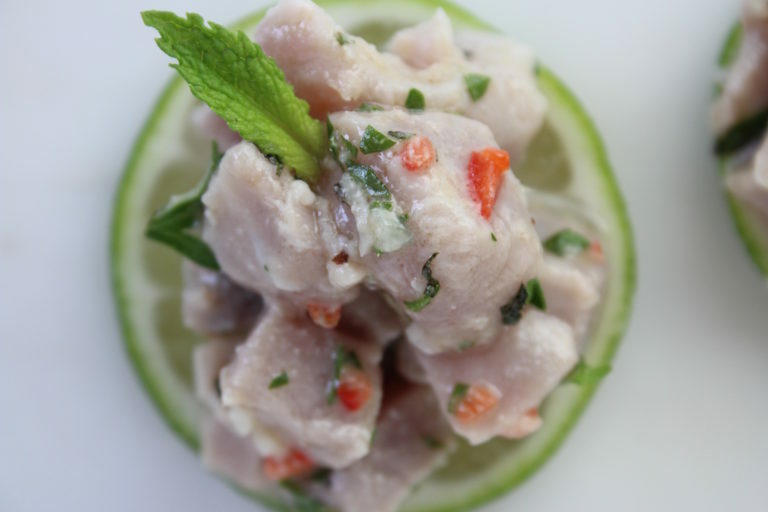 If you give it a try, you’ll find ceviche to be extremely easy to prepare (well, unless you actually go offshore to catch your own fish! ), and the ingredients are very flexible. You really don’t need hard-fast measurements with ingredients — sometimes just tasting as you go along will reveal what’s appealing to you. 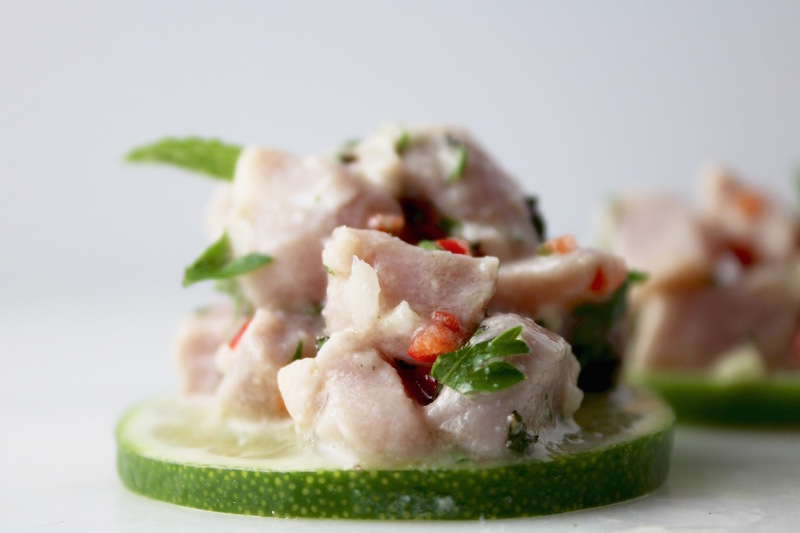 Ceviche is a cool, refreshing summer dish. 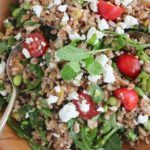 Serve it in a pretty serving bowl or individual glasses with some greenery, along with crunchy plantains, tortilla chips or crostini and you have a wonderful appetizer. 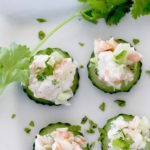 Fresh tuna ceviche makes a perfect appetizer on these crunchy cucumbers. Cut the fish into bite-sized pieces (see Notes for a tip on easy cutting). In a medium glass bowl, combine the citrus, onion, ginger and jalapeño; add fish to this mixture and stir well. Refrigerate about 2 hours (stir periodically to ensure the fish is evenly coated). Just before serving, drain the liquid from the fish. Add red bell pepper, cilantro, mint and a dash of kosher salt; stir well and taste for seasoning. 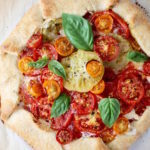 Serve with tortilla chips, crostini or plantain chips. For a much easier way to cut the fish into small pieces, simply freeze it for about 20 minutes on a baking sheet. When it's firm, it will be easier to control the dicing process.